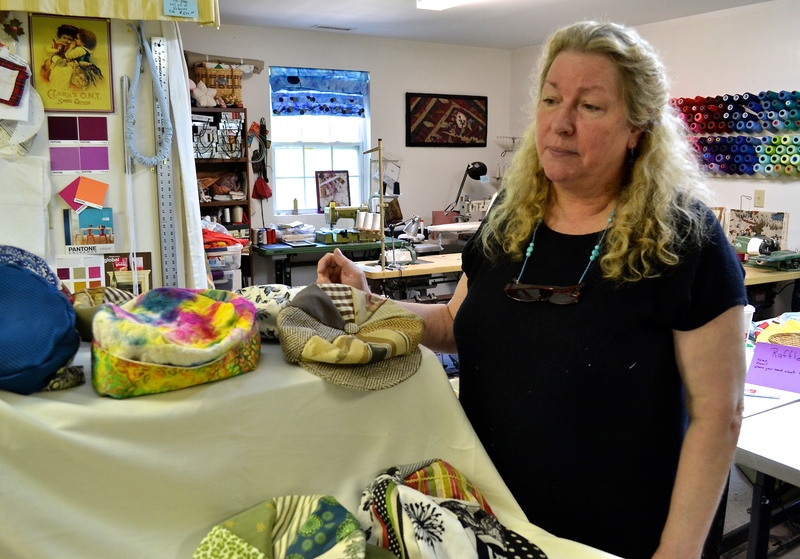 Kathleen Lewis is a down-to-earth North Carolinian with a motherly disposition and a knack for crafts. And while most people make crafts as a hobby, this is Lewis’ everyday job. Kathleen invited me into her workshop this weekend. 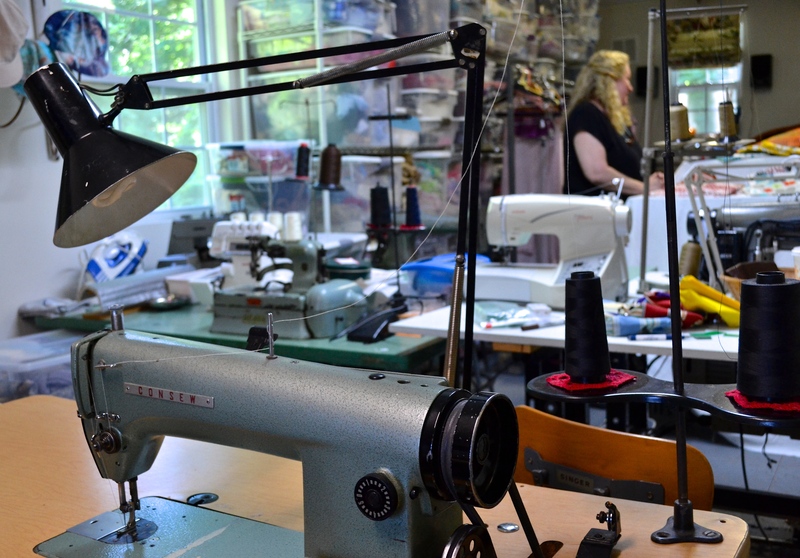 This is where she manufactures most of her medium sized projects for her company, Sewlink. 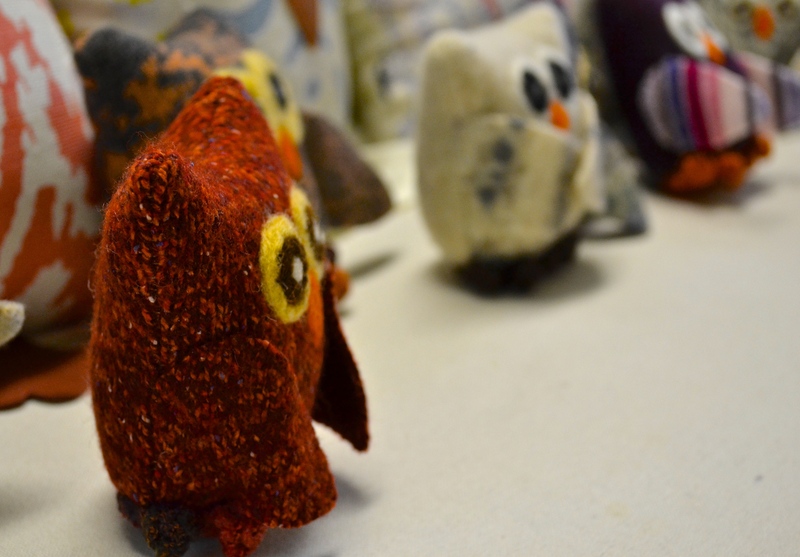 She makes little stuffed owls, or Hootlets, as she calls them. These are comprised of extra material from big decor projects that she didn’t want to waste. Her tools are as impressive as her crafts. 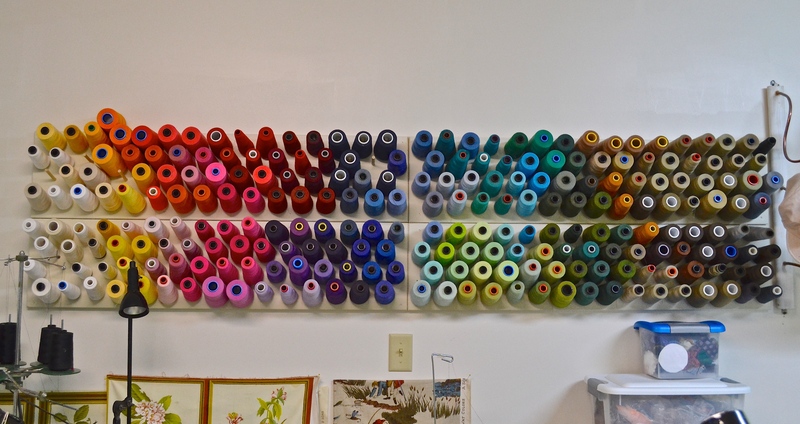 Hanging on an eight-foot rack, in color-order, are nearly 250 spools of color thread. At eight dollars a spool, that wall bears almost $2,000 worth of thread. 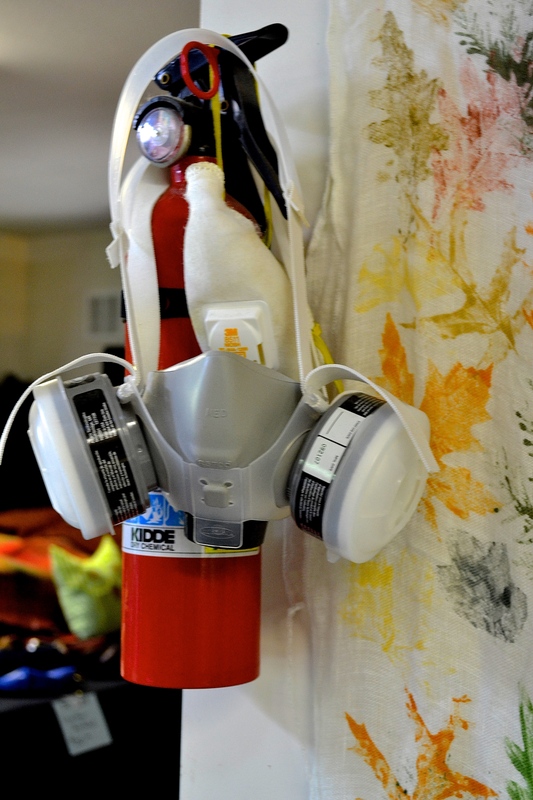 A gas mask and fire extinguisher caught my eye on the way out. 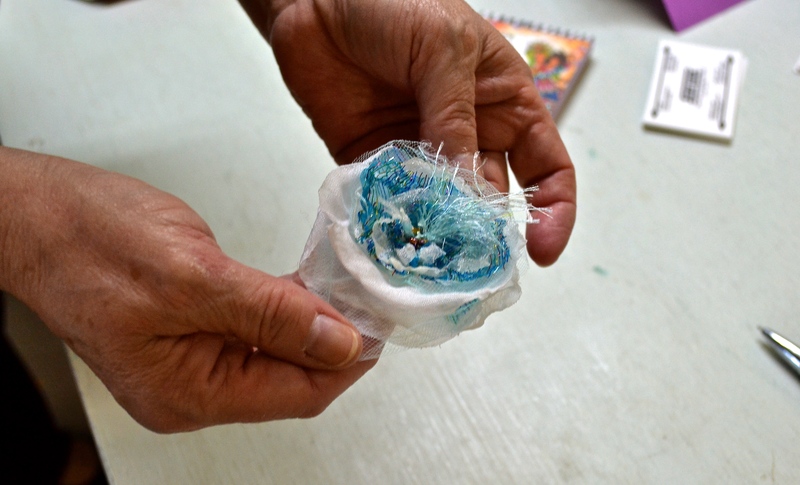 To explain, Kathleen digs into her archives to show me a delicate flower, whose crimped edges necessitated the gas mask as she burned the intricate design into its edges. Apparently, being a seamstress isn’t as safe as it may seem. Kathleen tips me off to a piece of history, hidden beneath a purple scarf. Her online group of fabric-wranglers pioneered a technique called “snow-dyeing,” in which they set dye into snow and let it melt onto their fabrics, creating a unique starburst pattern. And while it’s become pretty popular, she claims that it’s the brainchild of her cohort. Sewlink has specialized in contracting with small startups for 20 years, and even in the face of overseas competition, Kathleen is determined to continue. Contact Kathleen Lewis at sewlink@hotmail.com and at http://www.sewlink.net. 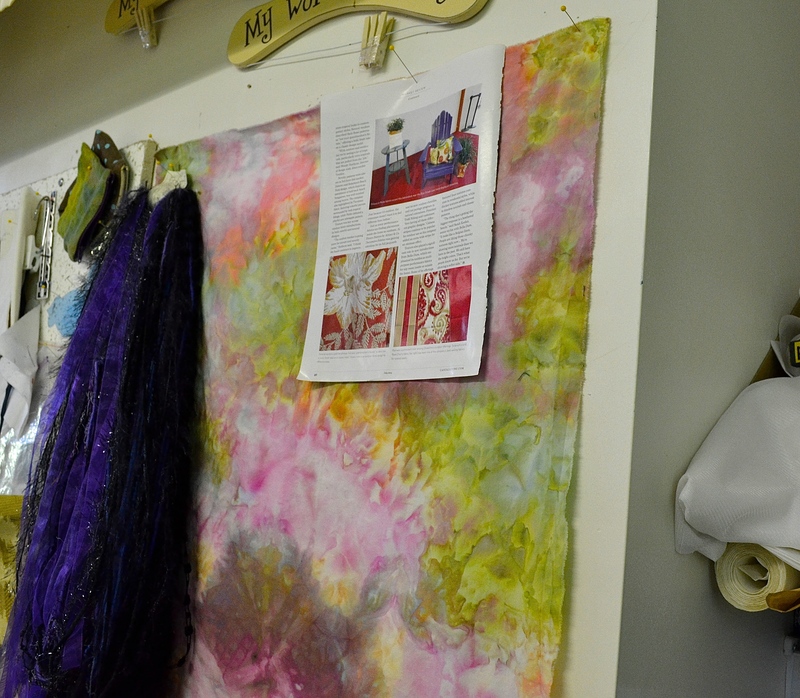 Her workshop is at 210 Lakewood Drive in Asheville, NC, and is definitely worth a visit. Snow-dyed cotton, one of the first ever! The $2,000 wall of 35-text spools of thread. Big money, high quality, apparently. That which protected Ms. Lewis from the fumes of her art. The fire extinguisher is for when something bursts, inexplicably, into flames. Which may or may not have already happened. A delicate flower. It warranted the purchase of a gas mask. Parental supervision advised.